While VB Migration Partner can often automatically translate most VB6 constructs, in some cases it is necessary for you to either modify the VB6 code before the conversion or modify the .NET code after the conversion process. In general, we recommend that you don’t alter the original VB6 code in a significant way if the VB6 application is still in production, because relevant edits should be thoroughly tested and validated. 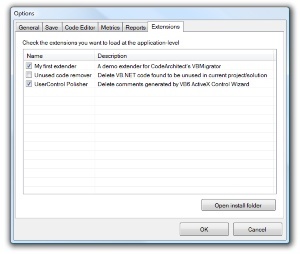 If you edit the original VB6 application you should be guaranteed that your edits don’t change the application’s behavior. The main limitation of the InsertStatement pragma is that it can only insert entire VB.NET statements; it can’t, for example, add function calls in the middle of an expression. VB Migration Partner comes with a special VB6 module – stored in the VBMigrationPartner_Support.bas file – that contains many special methods that you can use in your VB6 applications to prepare them for a smooth translation to .NET. You need to include this module in the VB6 project being converted, so that you can use these methods; VB Migration Partner never translates this module nor includes it in the migrated .NET project. The problem with this code is that the target object is accessed through late binding, therefore VB Migration Partner has no way to determine that the ForeColor and BackColor properties take a System.Drawing.Color object and that a conversion from the 32-bit integer is needed. The FromOleColor6 method is a “pass-through” method: it takes a 32-bit integer and returns it to the caller, without modifying it in any way. This ensures that the VB6 code continues to work as before the edit. However, when the code is translated to .NET, the VBMigrationPartner_Support module is discarded and the converted .NET code now references the FromOleColor6 method defined in the language support library, which converts a 32-bit value to the corresponding System.Drawing.Color object. The bottom line: the converted .NET code works like the original application and no manual fix after the migration is needed. FromOleColor6, ToOleColor6: FromOleColor6 convert a 32-bit integer into a .NET Color value, whereas ToOleColor6 converts a .NET Color value into the corresponding 32-bit integer. RGB6, QBColor6: Similar to RGB and QBColor methods, except they return a .NET Color object. DateToDouble6, DoubleToDate6: Explicitly convert a Date value to a Double value, and vice versa. ByteArrayToString6, StringToByteArray6: Explicit convert a Byte array to a String value, and vice versa. Once again, the problem is that ctrl is an IDispatch variable: the Font property is accessed in late-bound mode, therefore VB Migration Partner can’t determine that it references a System.Drawing.Font object and can’t take the appropriate steps to account for the fact that .NET font objects are immutable. Read the remarks in the VBMigrationPartner_Support module for a complete list of supported methods, their purpose, and example usages. VB Migration Partner employs several code analysis techniques to deliver high-quality .NET code.
' UPGRADE_INFO (#05B1): The 'x' variable wasn't declared explicitly. Notice that the upgrade remark is emitted even if the variable declaration is now present in the generated code, but you can get rid of this comment by means of a DisableMessage pragma. NOTE: the DeclareImplicitVariables pragma is ignored when converting to C#, because VB Migration Partner always generate the declaration of undeclared local variables in this case. Unused classes, fields, and methods are tagged with a special UPGRADE_INFO comment, which encourages the developer to whether the member is actually unnecessary and possibly delete it from the original VB6 application.
' UPGRADE_INFO (#0501): 'Test' member isn't used anywhere in current application.
' haven't found to be used in the current project/solution. Another case when VB Migration Partner can mistakenly find “unused” members is when migrating an ActiveX DLL or ActiveX EXE project. If you are migrating such a project individually, most of the public properties and methods of its public classes and controls are never referenced elsewhere. Even if you migrate the project as part of a group that contains a client project, chances are that the client project doesn’t reference each and every public member of all public classes of the ActiveX DLL or EXE project. Because of late-bound references and accesses from external processes, VB Migration Partner doesn’t automatically delete unused members. However, we provide an extender that deletes unused Declare and Const statements, which are never accessed in late-bound mode or from external projects. You can enable this feature in the Extenders tab of the Tools-Options dialog box.
' is passed to methods that modify it. Consider changing its declaration using the ByVal keyword. declaration using the ' ByVal keyword. In general, you should consider changing the passing semantics of parameters flagged with the special UPGRADE_INFO remark, because ByVal parameters are often faster than ByRef parameters. The only exception to this rule is structures, and for this reason VB Migration Partner never applies this remark to Structures. Even more important, replacing ByRef parameters with ByVal parameters often avoids hard-to-find bugs in the .NET code. Yes: VB Migration Partner applies the ByVal keyword with unassigned parameters that implicitly use by-reference semantics (i.e. have no explicit ByRef or ByVal keyword). Force: VB Migration Partner applies the ByVal keyword with all unassigned parameters that use by-reference semantics, even if an explicit ByRef keyword is found. All parameters that were flagged by the special remark in previous example are now defined with the ByVal keyword (and therefore have no remark associated with them), except the n2 parameter of Test method, because it was defined with an explicit ByRef keyword and we didn’t use the “Force” option in that method. VB Migration Partner correctly recognizes as unreachable code the region that follows a label that isn’t referenced by any GoTo, GoSub, On GoTo, On GoSub, On Error Goto, or Resume statement. The reason why VB Migration Partner doesn’t recognize as unreachable code the regions that are preceded by an Error or Err.Raise statement is that such error-related statements are ignored if an On Error Resume Next statement is active. You can have VB Migration Partner recognize those regions as unreachable by simply appending an Exit Sub (or Exit Function or Exit Property) immediately after the Error or Err.Raise statement. because all ' its statements were rendered as class field initializers. You can tell VB Migration Partner not to generate empty Initialize methods by adding a project- or file-level RemoveUnusedMembers pragma in the original VB6 source code. Many VB6 developers define a Class_Terminate event handler just to set class-level variables to Nothing. Such assignments are superfluous – because the object is released anyway when the “Me” object is destroyed, but this coding style doesn’t harm in VB6. to be useless. Please ' delete it in the original project and restart migration. A similar warning is emitted for functions, properties, and parameters that lack an explicit “As” clause. s = s & Str(n) & ","
s = s & Str6(n) & ","
' UPGRADE_INFO (#0571): The 'DDSLibrary' type library is never used in current project.
' Consider deleting it from VB6 project references. Notice that the unused reference is not removed automatically from the converted .NET project. It’s up to the developer to decide whether the type library is truly unnecessary and remove it manually from the original VB6 project. This manual fix ensures that the .NET project contains only the references that are strictly necessary and speeds up the conversion process. VB Migration Partner leverages code analysis techniques to refactor the generated .NET code and make it faster and more readable. Notice that the Exit Function keyword is left in code and must be removed manually. In this example, the d and i variables can be safely declared and initialized in a single statement, whereas the v variable can’t. This feature is enabled only for strings and scalar variables; Object and other reference type variables are always explicitly initialized to Nothing to prevent the VB.NET compiler from complaining about uninitialized variables that might throw a NullReference exception. VB Migration Partner takes a conservative approach and doesn’t merge a variable declaration with the first assignment to that variable if the code block between these two statements includes keywords that change execution flow, for example method calls or Select Case blocks, or if the value being assigned isn’t constant. VB Migration Partner is also able to merge class field declarations and assignments found in the Class_Initialize (or Form_Initialize) methods. However, the MergeInitialization pragma has no effect on class fields. Note: in a method that contains one or more Gosub statements that are converted to separate methods, because of a ConvertGosubs pragma, the variable initialization feature is disabled. text = text & "abc"
Label1.Caption = Label1.Caption & "." Label2 = Label2 + "<end>"
Private Name_InnerField As String = ""
Notice that the AutoProperty pragma automatically enforces the auto-instancing (As New) semantics if possible, regardless of whether the variable is under the scope of an AutoNew pragma. Me.Text1.Text = Me.Text1.Text & "<end>"
Text2 = Text2 + "<end>"
A similar optimization is applied when converting to C#. If obj.Text = "" Then Debug.Print "Empty Text"
If obj.Text = obj2.Text Then Debug.Print "Same text"
Notice that this optimization is disabled if there are one or more special pragmas between the two IF statements, including InsertStatement, ReplaceStatement, PreInclude and PostInclude. The method contains only a single On Error GoTo <label> method. The On Error GoTo <label> statement doesn’t appear inside a conditional block such as If, For, Select Case, and isn’t preceded by a GoTo statement. If the method contains one or more On Error Goto 0 statements, such statements must immediately precede a statement that causes exiting from the current method, e.g. Exit Sub or End Function. If the current method is a Property Let procedure, there must not be a Property Set procedure for the same property. Likewise, If the current method is a Property Set procedure, there must not be a Property Let procedure for the same property. can't be converted to VB.NET using a Try-Catch block because a GoTo statement in the method body points to a label that is defined in the error handler. Notice that the UseTryCatch pragma can be used together with the AutoDispose Force pragma, in which case VB Migration Partner generates a complete Try-Catch-Finally block. Notice that the external method contains an On Error Resume Next statement, because the original GetValue method also contains this statement. The method doesn't contain any Resume statement. (On Error Resume Next is OK, though). The target label isn't located inside a If, Select, For, Do, or Loop block. The target label isn't referenced by a Goto, On Goto/Gosub, or On Error statement. The target label must be preceded by a Goto, Return, End, Or Exit Sub/Function/Property statement. The block of code between the target label and the closing Return/End statement doesn't contain another label. Note: in a method that contains one or more Gosub statements that are converted to separate methods, the variable initialization merging feature is disabled. symbol 'Width'. ' Consider using the SetDefaultMember6 helper method. symbol 'value'. ' Consider using the GetDefaultMember6 helper method.
' UPGRADE_INFO (#05B1): The 'res' variable wasn't declared explicitly. symbol 'v1'. ' Consider using the SetDefaultMember6 helper method. symbol 'v2'. ' Consider using the SetDefaultMember6 helper method. Variant variables – either implicitly declared or not – are translated into Object variables, which cause several warning to be emitted and, more important, adds an overhead at runtime. This overhead can be often avoided by declaring the variable of a more defined scalar type. You can have VB Migration Partner change the data type for a given member by means of the SetType pragma, but this operation requires a careful analysis of which values are assigned to the variable. In this new version, VB Migration Partner can infer the type of the Width property from the type of the m_Width variable, which in turn permits to infer the type of the v2 local variable. VB Migration Partner attempts to infer neither the type of the v1 local variable (because it is explicitly declared As Variant) nor the type of the frm parameter (because by default method parameters aren’t under the scope of the InferType pragma). Notice that in this new version the type of frm parameter is inferred correctly, which in turn permits to infer the type of the res local variable. Extending the pragma scope to method parameters isn’t always a good idea, because the current version of VB Migration Partner infers the type of parameters by looking at assignments inside the method and doesn’t account for implicit assignments that result from method calls. For this reason, the type inferred during the migration process might not be correct in some cases. Important note: Type inference isn’t an exact science and you should always double-check that the data type inferred by VB Migration Partner is correct. Even better, we recommend that you use the InferType pragma only during early migration attempts and then you later assign a specific type to members by editing the original VB6 code or by means of the SetType pragma. Public Const UnusedConst As String = "Foobar"
VB Migration Partner comes with an extender that automatically removes unused constants and Declare statements. then VB Migration Partner generates (remarked out) nonoptimized .NET code, where Gosub keywords are not rendered as separate methods and On Error statements are not converted into Try-Catch blocks. Important note: the RemoveUnusedMembers pragma deletes or remarks all members that haven’t found to be referenced by any other member in the current project or other projects in the current solution. However, this mechanism can lead to unwanted removal if the member is part of a public class that is accessed by another project (not in the solution) or if the member is accessed via late-binding. You can use the MarkAsReferenced or MarkPublicAsReferenced pragmas to account for the first case. However, there is no simple way to detect whether a member is accessed via late-binding. For this reason the RemoveUnusedMembers pragma supports a second safeMode parameter. If this parameter is True then the pragma affects only members that can’t be reached via late-binding, e.g. constants, Declare statements, and members with a scope other than public. VB Migration Partner supports enforcement of renaming guidelines by means of declarative rules that can be specified in an XML file. Thanks to this feature you can – for example – rename all push button controls so that their name begins with “btn” and possibly delete the “cmd” prefix that appeared in their VB6 name. Renaming rules are based on regular expressions. The pattern attribute is used to decide whether the rule applies to a given member, and the replace attribute specifies how the member should be renamed. The ignoreCase optional attribute should be false if you want the pattern to be applied in case-sensitive mode (by default comparisons are case-insensitive). The changeCase optional attribute allows you to change the case of the result and can be equal to “lower”, “upper”, “pascal” (first char is uppercase), or “camel” (first char is lowercase). By default, <Symbol> tags that have a non-empty projectItem attribute are evaluated before rules where this attribute is omitted. All the <Rule> tags inside each block are evaluated in order, from the first one to the last one. However, if a rule has the isFinal attribute set to “true” then all the rules that follow are ignored. Important note: VB Migration Partner renaming engine doesn’t check whether the new name assigned to symbols is a valid .NET identifier and doesn’t check whether the new name is unique. It’s up to the developer ensuring that the generated .NET code doesn’t include invalid or duplicated identifier names. In practice you’ll notice this kind of errors as soon as you compile the generated .NET code, therefore we don’t consider it a serious issue. Const Name As String  = "Code Architects"
Const strName As String = "NAME"
Const strName As String  = "Code Architects"
This sort of issues are quite subtle because they don’t cause any compilation error. The current version of VB Migration Partner when a rename rule causes this problem, therefore it’s your responsibility ensuring that functional equivalence isn’t compromised by rename rules. Developers can write extenders to receive notifications from VB Migration Partner during the parse and code generation process. An extender class can access VB Migration Partner’s object model, read pragmas (and dynamically add new ones), edit the VB6 code before it is being parsed, modify the .NET code after it has been generated, and so forth. For VB Migration Partner to recognize an extender DLL, developers need to deploy the DLL in VB Migration Partner’s main directory. The interactive user can then enable and disable extensions from the Extensions tab of the Tools-Options dialog box. The sample extenders that are provided with VB Migration Partner perform quite generic task, for example removing unused Const and Declare statements or polishing the code of a VB6 user control class after the conversion to VB.NET. VB Migration Partner supports all the controls included in the Visual Basic 6 package, with the only exception of the OLE and Repeater controls. When migrating a form that contains unrecognized controls, such controls are transformed into “placeholder” controls that stand out on the form because of their red background. Once you have a .NET control that mimics or wraps the original ActiveX control, you just need to copy the .NET DLL inside VB Migration Partner’s main directory; no registration is required. The next time you run VB Migration Partner, the new control is recognized as if it were one of the VB6 built-in controls. Create a managed wrapper around the original ActiveX control. VB Migration Partner’s package includes the AxWrapperGen utility that automates this process. Create a fully managed control that behaves like the original control. Migrate the application as usual, then manually replace the “placeholder” control with a .NET control and then manually fix all the references to the control’s properties and methods. A .NET project that uses wrappers for ActiveX controls can’t benefit from some advantages of the .NET Framework platform, for example XCOPY deployment and side-by-side execution of different versions of the same component. The COM Interop mechanism isn’t perfect and we have noticed that a few complex controls – most notably, the DataGrid control – occasionally crashes when placed on a .NET form. You should carefully test all forms that host one or more ActiveX controls, either directly or wrapped by a .NET class. If the ActiveX control is used massively by the project being migrated – or in other projects that you plan to migrate in the near future – the time required to create a fully managed control that behaves like the original control can pay off nicely. The remainder of this section explains how to implement strategy a) and b). If the control or component is authored with VB6 and you have its source code, in most cases adding support for that control or component is a simple process: just run VB Migration Partner to migrate the ActiveX DLL or ActiveX Control project that contains the user control, going through the usual convert-test-fix cycle. When the migrated project finally works correctly, you might want to polish the .NET code. Also, you can use PostProcess pragmas to delete special remarks added by the ActiveX Control Interface Wizard, as well as calls to the PropertyChanged method (which are useless under .NET). AxWrapperGen is a tool that is part of the VB Migration Partner package. (You can find it in the main installation directory, which by default is C:\Program Files\Code Architects\VB Migration Partner.) It is a command-line utility, therefore you must open a command window and run AxWrapperGen from there. The first class of each pair works as a wrapper for the original ActiveX control. The second class of each pair provides support during the migration process. In our example, the MSCAL.OCX file contains only one ActiveX control, therefore only two classes will be created: the class named VB6Calendar inherits from AxMSACAL.AxCalendar and wraps the ActiveX control; the second class is named VB6Calendar_Support And inherits from VB6ControlSupportBase. This class will be instantiated and used by VB Migration Partner during the migration process, but not at runtime during execution. Before compiling the solution, check the “Instructions” region at the top of each class. In most cases, the project that AxWrapperGen utility creates compiles correctly at the first attempt. The compilation process creates a DLL that you must manually copy into the VB Migration Partner’s main directory. /language:LL specifies the target language. LL can be either VB or C# (the default is VB). /version:VVVV specifies the Visual Basic version of the code to be output. VVVV can be either 2005, 2008, 2010 or 2010_40. (The default is 2008). The 2010_40 settings generates projects that target .NET Framework 4.0, all other settings generate projects that target .NET Framework 2.0/3.5. /compile causes the converted .NET to be compiled. /clearcache clears the typelib cache. /help or /h displays a brief explanation of each option. If the specified VB6 project can’t be converted, or the conversion was aborted because of a fatal error, or the conversion produced more issues than allowed, or if the compilation step produced one or more errors, then VBMP returns a nonzero errorlevel to the operating system. VB Migration Partner converts all the properties assigned at design-time and whose value is stored in the hidden portion of .frm forms. However, in very few cases, the information stored in these .frm is encoded in a format that we didn’t manage to decode. For example, we haven’t found a way to decode how properties of the MSChart control are stored in the .frm form. To correctly migrate this control you should load the original project in the VB6 IDE and run the VBMP Project Dumper add-in. If you migrate a form containing an MSChart control or another control that may require decoding – for example the DataTimePicker control – VB Migration Partner searches for this XML file and issues a migration note asking to run the add-in if the file can’t be found. VB Migration Partner supports DDE-related properties (LinkItem, LinkTopic, LinkMode, LinkTimeout), methods (LinkExecute, LinkPoke, LinkSend, LinkRequest) and events (LinkOpen, LinkClose, LinkExecute, LinkError, LinkNotify). It’s essential to bear in mind that DDE support is implemented by simulating the VB6 behavior, but without actually using any native DDE feature offered by Windows. This detail has an important consequence: DDE communications only work between .NET applications that have been converted by VB Migration Partner and that use VB Migration Partner’s support library. If your original VB6 code uses DDE to communicate with Microsoft Excel or any other compiled DDE server application, it won’t be impossible to establish the communication. Internally, VB Migration Partner implements DDE-related features by means of inter-process Windows messages. In current release all DDE members are supported except the LinkTimeout property and the LinkError event. More precisely, DDE communications in converted .NET apps never time out and never raise a LinkError event. These features are likely to be implemented in a future release. where appname is the App.Title property of the original VB6 project and formlinktopic is the value of the form’s LinkTopic property. You can change the former value by means of the VB6Config.DDEAppTitle. In general, you can store pragmas inside a *.pragmas file only if the pragma has a project-level scope. Starting with version 1.50, VB Migration Partner the ability to store any pragma inside a separate *.pragmas file, including pragmas with file, method, or variable scope. Pragmas that are added in this way are known as “positional pragmas”. the == separator states that the pragma must replace the reference line. Notice that the reference text isn’t a complete line – method parameters are omitted, for example – yet it is surely an unambiguous way to point to the method in question. The ==> causes the DefaultMemberSupport pragma to be inserted after the method definition, therefore it affects the method itself. Positional pragmas open up many new possibilities when planning a migration. Thanks to positional pragmas the team that takes care of the migration process never really have to interact with the team that maintains the VB6 source code, adds new features, or fixes bugs. For a successful migration that adheres to the convert-test-fix methodology, in fact, the migration team only needs to have access to the latest VB6 source files produced by the other team, and the result of the migration will always be in sync with the most recent VB6 release. It is even possible that the two teams never know each other and in fact the positional pragma feature has been introduced to make it possible for a company to outsource the migration to another, distinct (and possibly offshore) company. Me.Caption = "My VB6 app"
Me.Caption = "My VB.NET app"
MainForm.frm > Me.Caption = "My VB6 app" == Me.Caption = "My VB.NET app"
Additionally, VB Migration Partner recognizes two special placeholders, named “Date” and “Time”, which are expanded into the current date and time, respectively. Next, let’s assume that Developer B wants to modify the output path of the migrated project so that it points to C:\BINS2. Obviously, he should use a slightly different PostProcess pragma, but if the two developers share the same set of source files only one pragma can have the desired effect.